When spincast reels first started coming into use in the 1940’s no one knew it would take off quite like it did. Today, we consider the spincast reel to be one of the greatest inventions for fishing. Spending long summer days out on the water fishing has become a favorite past time. This sport has long since been a prized activity for many people and the sport only seems to be growing with time. With all this popularity comes a great amount of high quality gear that rings in at a more affordable price than ever before. From bait to ropes, reels, and boats, it is important to have the right gear along for your trip on the water. Not only will this go a long way in making you more comfortable it will also make you a better fisherman. When heading to lakes or freshwater rivers you will want to ensure you have the best spincast reel at your disposal. The best spincasting fishing reel is easy to learn from, use and maintain making it an all around winner. With a few key pieces of knowledge, you will have everything you need to make you the best fisherman you can be. We have created this guide to teach you the correct terminology, walk you through how to find the best gear and show you some of the best options available on today’s market. If black is your favorite color the Omega Pro is perfect for you. It also has the specs and performance to backup the look. Zebco is also one of the premier spincast manufacturers on the market. 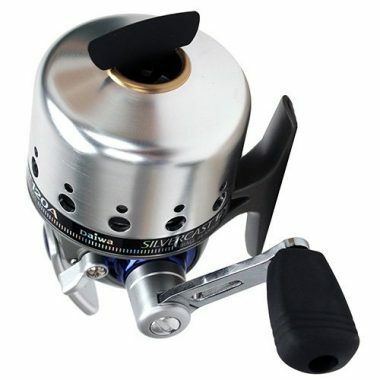 Zebco included 7 stainless steel bearings in this reel to ensure it stays buttery smooth. You’ll also find the die-cast aluminum body is a nearly perfect shape. The 3.6:1 gearing of this reel is ideal for those looking for bigger fish. You’ll also love the feel of the handle. It has been designed for a mixture of power and speed. There’s nothing that’ll get in your way when reeling in your catch. This reel has features from Zebco’s higher end lines but aimed more for beginner to intermediate fishermen. It is a great combination of materials, design, and value. This classy looking reel not only looks the part but also performs better than average. The mixture of blue, black and silver coloring makes this reel seem like it should be on display rather than on the water. But don’t let that fool you, this reel can perform as well as it looks. It uses a 4+1 bearing system configuration that ensures the smoothest operation and also includes an instant anti-reverse bearing. This is on the higher side as far as bearings for spincast reels goes making this one of the better reels on the market today. These bearings are made using the very corrosion resistant stainless steel style of bearings giving you high performance in both fresh and saltwater. Pflueger has spent the time to make this aspect of the reel work as well as it can. The President by Pflueger is made from aluminum and titanium with stainless steel ball bearings. This mixture of materials has proven itself reliable in any situation. It’s easy to see why this is such a highly rated spincast reel. Even though the look of this reel leaves something to be desired it is one of the highest quality on the market. If you’re looking for a reel that you can purchase and know won’t let you down, this is the one for you. Zebco’s 33 excels for people looking to get into the sport of fishing. It only has one ball bearing which lets you feel every movement of your line. The plastic button may give this a cheaper look, but zebco have thoroughly designed this reel to perfection. All you have to do to start casting is press the button. The longer you hold the button the more the reel will release. Truthfully, this is one of the simplest reels to use. The 3.6:1 gearing has been optimized for medium sized fish. Zebco has found a sweet spot between power and speed. You’ll know when you get a bite as the 33 has a ‘bite alert’. This essentially means the drag makes a clicking noise when it’s engaged. If you are a social fisherman this will help you never miss a catch. This is the upgraded version of the 33 Authentic by Zebco. The 33 is one of the top spincast reels by Zebco so having an upgraded version says something. The 33 Platinum comes with a stainless steel cover making it even more durable. This allows you to use it in saltwater conditions. If you’re particularly hard on your rods you’ll definitely want the version with more metal. 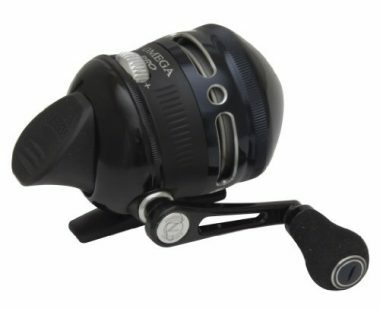 This reel also has a 4+1 ball bearing system. You’ll find this a great addition as it keeps the spool on track even under heavy load. A bite alert system will also let you know when you have a fish on your line if you get distracted. The spool also handles up to 100 yards of line. This is on the higher side when it comes to spinning reels and allows you to fish even in deep waters. Overall, this is one of the better Zebco micro spincast reels on the market. Zebco is one of the largest companies that manufacturer spinning reels. Their Bullet is also near the top of the market in terms of quality and performance. In terms of micro spincast reels, you won’t be able to find a reel with more of a storied history than this company. 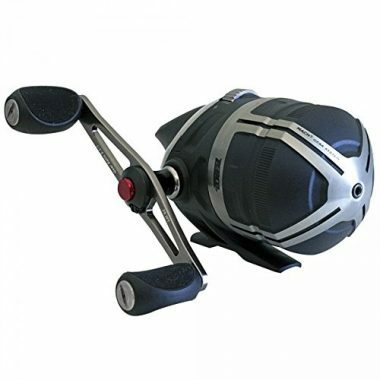 It has an 8+1 ball bearing system that ensures you get one of the best reeling experiences possible. The reeling system has also been designed for speed rather than power. This means the reel is excellent for small to medium sized fish. The 5.1:1 gearing ensures the fish gets into your boat in record time. A low friction pickup system ensures your line stays in line and doesn’t kink or snag. This combines with the multiple bearings featured to make your job even easier. The oversized dual grip ensures your hands don’t get sore or cramp in long battles. Daiwa is one of the top ranked fishing product companies on the market. They have been around since 1955 giving them decades of experience and knowledge about the sport. You’ll find that this is one of the companies that prides themselves on high quality products. The Goldcast line includes excellent spincast fishing reels that can be used in freshwater and saltwater alike. There are three options to choose from including GC80, GC100, GC120. All of these models are professional quality and increase in quality as the number gets larger. You’ll never get a tangle in your line due to the reels oscillating spool. The reel winds the line with precision and maintains an even distribution. The 4.1:1 gearing means you can get 21.3” of line every time you round the handle. The Goldcast also has a larger hopper that holds lots of line for those that fish in deeper water. A tungsten carbide pickup pin and metal body also work to keep this reel working for years to come. If you are looking for a spincast reel for bass the Daiwa Silvercast A Series spincast reel should be on your radar. These reels have been specifically designed to catch bass. That’s saying something because these fish are fighters. Rods that aim to catch these fish not only need to be specially designed but also strong and robust. The 3 ball bearings ensure the line is reeled in smoothly. A 4.3:1 gear ratio will crank in 21.8” per turn of the handle. The Titanium Nitrided line pickup also helps to make reeling in your catch effortless. A large aperture opening also adds to the superb design of the spool. In total, this reel weighs just 8.8 ounces giving it a little weight. This is great as it means Daiwa included top of the line materials. You won’t have to worry about this rod having strain even if you have an oversized fish on your line. Pflueger has made one of the lightest spincast reels on the market. Some people may not like this since light usually means cheaply made, but not this option. It is made from tough aluminum, titanium and other metals. The gears are entirely made from heavy duty metal so the rod will remain durable. Since it’s so lightweight the Trion is one of the easier rods to cast, especially if you’re on a weekend trip. You’ll also be able to get superb distance on your casts making it great if you’re throwing from the shore. This also works well for those with weak joints or for younger fishers who will benefit well from the lightweight design. The aluminum handle design features a soft handle knob that makes reeling in your catch easy and comfortable. 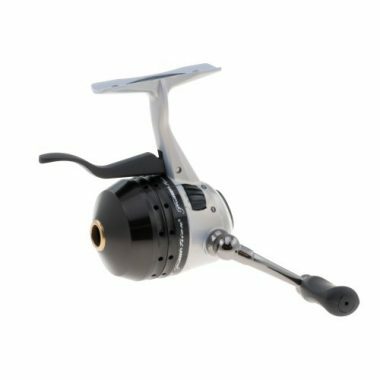 Ideal for both fresh and saltwater this reel features stainless steel bearings making it corrosion resistant and giving it a longer lifespan. This is one of the flashier spincast reels on the market. It comes in a bright red and black color combo. 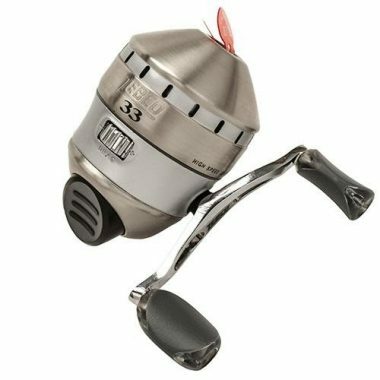 The simple push button release system makes this a great design novice fishermen can handle. But the Abumatic 170 also has features that make it robust enough to grow into. Abu Garcia made this reel with a 2+1 ball bearing setup which includes anti reverse. The included drag system features a carbon matrix construction that ensures it releases just the right amount of line. The 3.9:1 gearing is a perfect balance of power and speed. It will allow you to reel in even large size fish with ease. In fact, it’ll pull the fish 25” closer every time you turn the handle. But it also has an oscillating spool which makes your casts go as far as possible. This is another lightweight spincast reel. Coming in at just over 5 ounces you’ll be able to use it all day without struggle. It also makes this a great rod for youngsters to learn on. They’ll actually be able to throw casts and learn proper form. 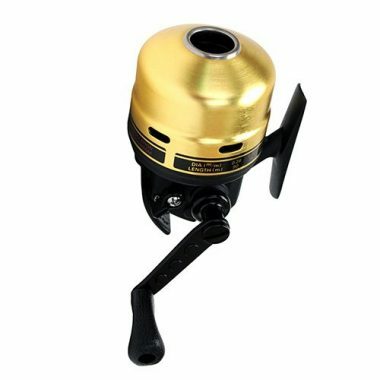 With appealing gold features, this spincast reel is sure to add some color and fun to your fishing rod. The Shakespeare is constructed from stainless steel and titanium. These are high end materials that are exceptionally durable. Both will also not rust even in the saltiest conditions meaning you can bring them with you no matter where you’re fishing. This helps to stretch the lifespan of your reel making it an even smarter buy. Now that we have shown you some of our favorite spincast reels on the market, it is time you learn just why these ones are so great. To start with this, it is important to have a good grasp of what a spincast reel is. You may have heard of the spinning technique in fishing. Basically, this type of reel incorporates a spinning reel, as the name suggests, and a floating bait. These work together to draw the fish and effectively hook them to your line with ease and accuracy. This type of reel is incredibly simple and even more accurate. You simply click your button and cast. Once you have a good grasp of what a spinning reel is, it is time to learn the terminology and understand what features are important for these devices. In comparison to other reel types, you will enjoy how affordable these reels are. They also happen to be the most used reel type which makes finding them a breeze. 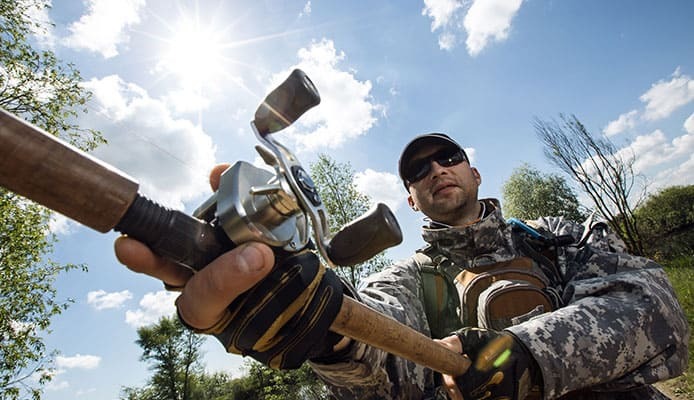 As the popularity for fishing seems to only be growing as this sport attracts more and more newcomers every year, there seem to be a matching abundance of manufacturers looking to get in on the action. For this reason, you will be able to get some top quality features at a lower cost than ever before as these manufacturers fight to stay above the curve. While you no longer have to settle for your gear, too many options available can add some pressure to making the right purchase. 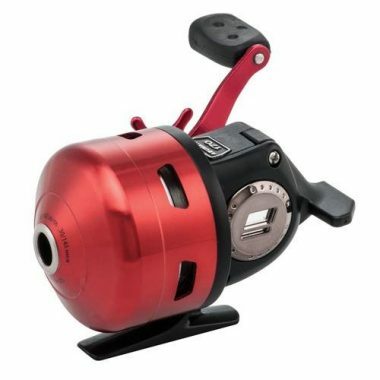 Spincast reel reviews agree that having a thorough understanding of both your options and what makes a top rated spincasting fishing reel will help to ensure you that you made the best choice for you. 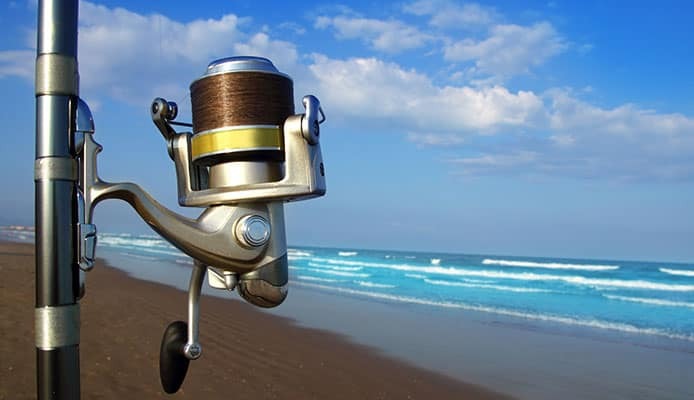 To start at the beginning, it is important to know the different types of fishing reels that are available to you. Knowing your options will help you to make the most informed decision about what type is the best for you. Spincasting: One of the most popular options in fishing, and our topic of discussion, this reel time has the ultimate benefit of being incredibly easy to learn and use. This type of reel can be used in both salt and freshwater. Drag: This reel is based around the pressure that the fish experiences when it’s caught on your line. Some reels will allow you to even adjust this so you have ultimate control over your rod. Spinning: If you are looking for a more modern type of reel, the spinning reel is your best bet. 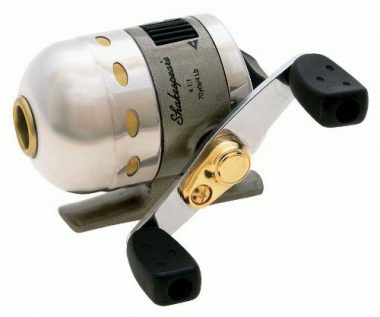 Featuring advanced technology this reel type provides an incredibly accurate performance. Fly Reel: This is a single action reel that is specifically designed for one thing: storing the line with the appropriate tension. Centrepin: This reel type is used for coarse fishing. Also known as the float reel in this reel type you will find that the momentum from casting will be enough to draw the line back to the spool. Underspin Reel: This reel type is a more popular option as it is well balanced. It also has the ability to be used for longer periods of time. There are two ways to set your drag on this reel. The first is a start drag. This is mounted externally on the side of the reel between your body and the handle of your rod. This is large and easy to see which makes it easy to operate. So easy, in fact, you can operate this with only two fingers. The second option is found internally. You will find a small protruding edge that pokes out through the cover of your reel. This is attached to a small wheel on the inside of your reel. This is another way that you can control your drag reel. The choice between the two depends largely on personal preference. We recommend you try both ways in order to see which way works best for you. While the first option is most popular, they both work well and some people swear by the second method. When looking between the different types of reels on the market you may notice that spincast reels typically hold a smaller line capacity than other reels. You will find the average sits between 240 – 360 feet of line. This size varies based on the size of the reel and the diameter and the strength of the line you are looking at. Typically this type of reel will come with a line that is already spooled on the reel. Other models within this type will have interchangeable spools. These can be a very good option as they allow you to change between a few types of lines. The rule with ball bearings, no matter the type of reel you choose, is that the more the better. In a spincast reel, you will find that there is typically between 2 and 7 ball bearings present. While buying a spincast reel with a lower number of ball bearings may be an attractive option in terms of price, you will end up paying big time in performance. We recommend not going below 4 bearings for your purchase. Knowing more is better is great, but you may be wondering what are bearings? These are balls, typically made from either steel or ceramic, that move around any mechanical part and work to reduce friction. For fishing, these are important as it allows you to reel your catch in smoothly without getting a bumpy pull that could cause you to lose your fish. Quite simply, the bearings are the part that ensures you have the perfect retrieval of your fish. As you will typically find two different materials making up your bearings, you may be wondering which type is best. Most pro fishers prefer ceramic bearings. They typically perform much better in terms of smoothness and also tend to be more resistant against corrosion. While they may be the best, this does come at a cost. They are far less common and also require a more substantial investment. Stainless steel bearings are the most common option you will find. The beauty of this type of bearing is that it holds up well in salt water as it is incredibly rust resistant. Brass is another top rated material that is ultra durable. In terms of performance, it is said that steel performs only 1% less than the more expensive ceramic option making it still a quality choice. The truth is, you will likely not even notice a difference between the two. When talking about design for your spincast reel, there are many different options for you to choose from. In terms of color, it seems that all manufacturers are taking the opportunity to show off their creativity in some fun designs. With varying shapes and sizes, you will be able to find a design that perfectly suits you. While this may be the fun part, be sure not to place too much focus on the aesthetics of your reel and instead focus more on functionality. In terms of the design of your reel, it is important to first decide between the two very different types of reels. Both open-faced and closed-faced designs have their advantages and disadvantages. Deciding between these will help to narrow down your search drastically. This design is ideal for spotting any problems, tangles, and snags in your line. As the name suggests you will have a good view of all that is going on internally allowing you to take measures to stop the line from getting caught inside the housing of your reel. With this design, you will notice a great increase in your efficiency. Being able to identify when problems occur will allow you a complete picture of what is going on and make it so you don’t run into any problems. Of course, this design only proves functional if you know how to deal with problems and therefore is not ideal for younger users or those with less experience. 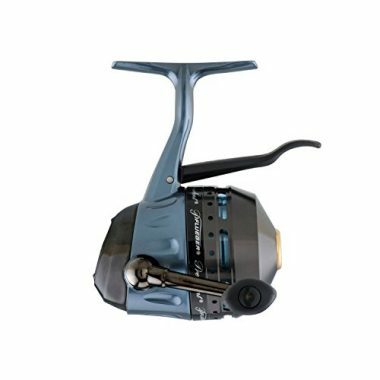 This type of reel is specifically popular for beginners and is easier to use and maneuver. You will find that this design is much more popular and therefore much more widely available. Their ease of use makes them a great option for young fishers as there is far less than can go wrong. There is a trade off with this simplicity, it is important that this design is regularly maintained in order to keep functioning smoothly. This design has two significant disadvantages. It is much harder to identify any problems that occur such as your line snagging or tangling. More seriously, this type of reel may get water unexpectedly trapped inside that would be much harder to notice. For this article, we have focused on this type of model as their ease of use is something that is truly unbeatable. As with all outdoor gear, it is important to ensure your gear can handle the rough use that comes with the great outdoors. 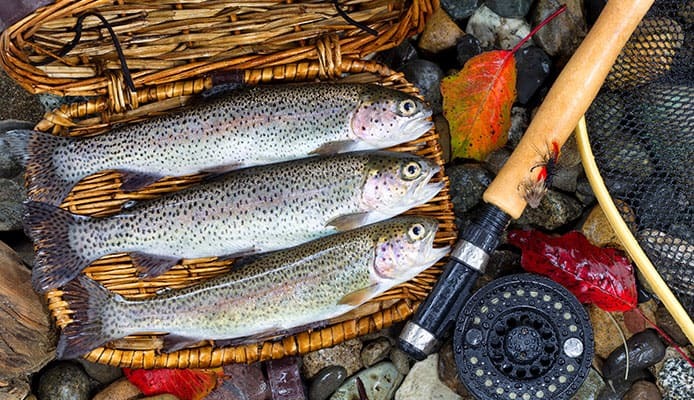 In the case of fishing, it is crucial to have your gear be appropriately weatherproof. This includes being rugged enough to handle the salt spray that comes from the ocean. 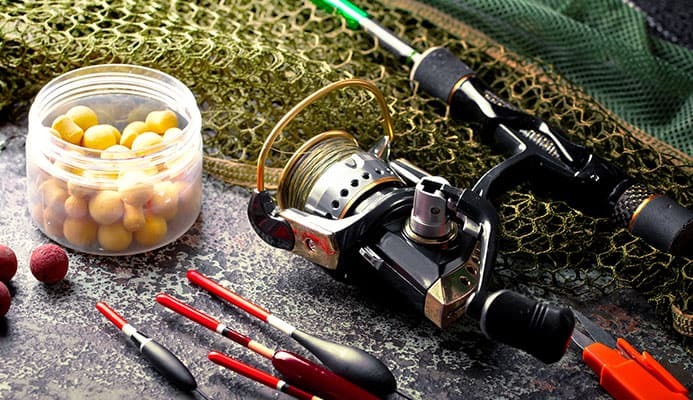 Being rust proof, or corrosion resistant is incredibly important to fishing gear. You’ll find that the spool cover will be made from a highly durable material. This is to protect the inside of the rod as it holds the gearing and sensitive pieces that you don’t want debris in. Even though it can add some weight to your reel this is one of the parts that will go a long way to extend the life of the reel. Being easy to use is one of the great advantages of spincast fishing reels. While we talk about this reel type being easy, it is important to note that we are specifically talking about the more common closed face spincast fishing reels. This type of reel is quick and easy for everyone, even kids, to master. Learning to string the reel is something that can be done within a few casts making this type of reel an incredibly popular choice. The hardest part of casting with this reel type is learning when to push the button to let out the line. In a few tries, you will find yourself casting with incredible accuracy. When choosing an open face spinning reel, it is important to allow for a bit more time and patience to get to the level of mastery. While this may seem like a big turn off, once mastered this type of reel has many advantages and can be quite a good option. While there are some difficult parts about a spincast reel, such as the need for maintenance, the benefits are generally much more overpowering. This type of reel avoids many problems such as backlash. Backlash is common in open faced spinning reels. This type of reel avoids the problem of imperfect casting them making them a great option, specifically for those new to the sport. This refers to how fast your line reels into the spool. Every time you turn the handle a certain amount of line will wind around the spool. This varies for nearly every single reel on the market. The retrieval rate is important as it’ll determine how fast you reel in your catch. It’s also important to understand for when you’re trying to lure the fish to your hook. If you simply crank the handle your hook could be traveling faster than the fish can swim. This means you’re never going to catch a fish since they have to be able to swim to your lure. Understanding the retrieval rate will give you the rate at which you should turn your handle. For example, if your reel has a retrieval rate of 24 inches you will be winding in that much line on every turn. This coincides with the gearing of your reel. If you have a lower gear reel you’ll also have a slower retrieval rate. So what does this all mean? You should know if you like to reel fast or slow. This will determine the retrieval rate you should get. If your natural instinct is to reel your line as fast as possible, a low retrieval rate will be what you’re searching for. But if you’re a more mellow type you may want to search for a higher retrieval rate. A mono capacity is a rating in regards to the line of the reel. This will usually have 2 number ratings – one for the test and the other for the length of the line. The test will be rated in pounds and indicates how much the line can withstand before it breaks. Essentially, it will show you the size of the fish you can go after. Keep in mind that a higher pound rating the thicker the line will be. This is something to consider as you’ll be able to hold less line on your spool. The length of the line will also be shown on the mono capacity. It will be rated in feet. 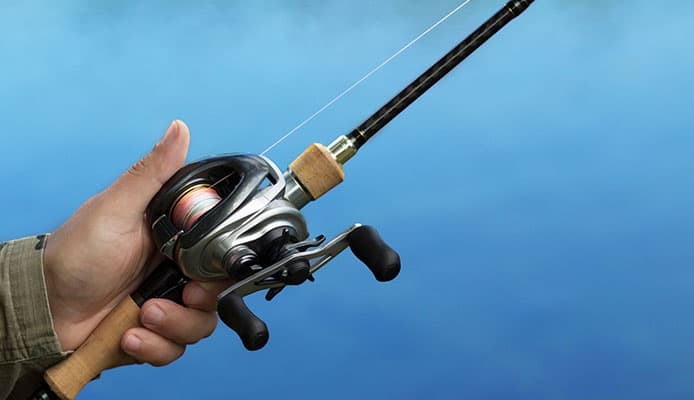 Q: How Do Spinning Reels And Casting Reels Differ? A: First off, spinning reels are the most common because they’re able to be used in any fishing situation and by most people. They allow you to see the workings of the reel as they usually have an open spool. Casting reels, on the other hand, are for people with a bit more experience, in the intermediate to advanced group. The biggest difference is the way you cast. You’ll press the bar down as you throw your cast at the highest point so that it gets the best arch and distance. Casting reels take some coordination to get the timing right for the ideal cast. Q: How Does A Spincast Reel Work? A: It is important to have a thorough understanding of how the reel works in order to be better equipped to maintain and care for your reel. The spool that the line is wound around is stationary which stops it from experiencing any backlash. This also protects against tangles in your line while casting. When you cast your rod the line will take off from the fixed spool. This is done through the hole found in the front of your reel and is forced off by something called a lure weight. In this style reel, you will not experience backlash as the spool simply can’t overspin. The line stops extending the moment your bait hits the water giving you the perfect cast every single time. Depending on the type of reel you have you will have one of two styles of triggers that allow you to wind your line back onto your spool. You will either find your trigger level in the underside of the front of your reel or you will locate it with a thumb button on the back side of your reel. Once you have located yours you can press, or pull depending on your model, the line retracts inside the spool when you reels handle is turned. Rotating your reel’s handle will also work to reposition the spool inside as well as the pins and work to wind your line back onto the line spool. Q: What Type Of Line Should I Purchase For My Spinning Reel? A: There are many types of line you can get for your new spinning reel. The three main types are braided, monofilament and fluorocarbon. Each has their benefits and drawbacks and are designed for different styles of rods. Braided line is super strong and doesn’t stretch making it great for large sized fish. This also means you can be more aggressive when you’re setting the hook. We recommend using this line if you’re fishing from your blow up kayak. The strength of the line will combat the strain from the movement of the kayak. Also, the line is typically thinner than others allowing you to get longer casts. There is a lot to consider though. For example, this is also one of the pricier lines you can get. But at the same time, you won’t blow through it since it’s stronger. Monofilament fishing lines are the most cost effective you can get. They will typically float on the surface of the water and are quite stretchy. This is good for aggressive fish that can tend to rip the hook out of their mouth. But at the same time, this can mean you have a bite and won’t feel it. This also means that they can tend to take the shape of your spool (ie. round) and cause knots in your line. Monofilament lines are also on the thicker side so you may not maximize the amount of line on your spool. All-in-all this is a great type of line for beginners and those just dipping their feet into fishing. Fluorocarbon is a type of material that is nearly clear in water, making it great for places that have crystal clear water. These fall in between mono and braided lines in regards to the price and durability. Just be careful when winding this onto your spool for the first time. Add some tension as it doesn’t have the best flexibility and may try to tangle. Q: What’s The Biggest Grab Ratio? A: A grab ratio refers to how many times the line goes around the spool per turn. So, for example, if a reel has a 3.9:1 gear ratio the line winds 3.9 times around the spool for every one turn of the handle. A lower first number will indicate that the line winds fewer times around the spool, thus taking longer to wind in. Like we talked about earlier, this can affect the speed at which your lure moves through the water. If you get a reel with a high grab ratio and you tend to wind quickly you can make the lure move faster than fish can swim. This means you will have a hard time catching fish. Keep this in mind when you’re searching for your reel. If you’re new to fishing try to get a grab rate that’s around the 3 range. This will ensure you have a grab ratio near the middle. Also, be conscious of the speed you reel in your line. You can use this information for the next reel you get. Q: What’s The Advantage Of An Oscillating Spool? A: An oscillating spool has the main advantage of allowing your line to wind up evenly. When your spool oscillates it will create a smooth wind. When this doesn’t happen the line will cut into itself when facing the pressure of a fish. When this happens you are at risk of your line snapping and your fish getting away. You will also risk your line tangling inside your reel after the catch. This can be especially frustrating as you will successfully catch your fish but due to the internal tangle, you will no longer be able to do any more for your day. Q: What’s The Advantage Of Using A Twin Drag System? A: In short, the main advantage of this type of system is efficiency. With a twin drag system, you will find you have much more power. This allows the heat of your reel to dissipate more which allows the brake system within your model to operate with much more efficiency. This will cause the fish you catch to lose energy much quicker allowing you to be able to drag it up with more ease. A smooth drag is important here. Having a smooth drag will make reeling in even the smallest fish much easier. When looking for your next reel, it is important to start at the beginning and decide on the type of reel that is best for you. 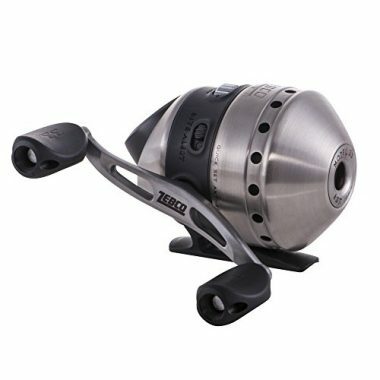 Once you have decided on a spincast reel, you will want to look at the specs of the different models. Most of the time, this will come down to the type and size of fish you are looking to catch. Your skill level and how often you plan to use your reel should also be factors to consider. Looking at some key specs such as the number of bearings, line capacity, and grab ratio is important. Be sure to not overlook design features. While color should be secondary, you may want to pay close attention to handle size and comfort. As you are likely going to spend long days out on the water, it is important to be comfortable. Further, you will also want to focus on weight. This is specifically important for those with some physical restrictions such as weak joints. Once you have looked at the specs and design of your reel, we recommend looking at nice added perks. We are talking about the warranty. While not all reels come with warranties, those that do deserve some particular attention. If they don’t offer them for free, we greatly recommend making them something you add on with your purchase. While you will want to try to get a reel that checks off all of your boxes, keep in mind that most fisherman will have more than one reel. Instead of looking for a reel that will do it all, we recommend getting one that suits the specific type of fishing you do most often. As these are quite affordable, you can always opt for different models later. 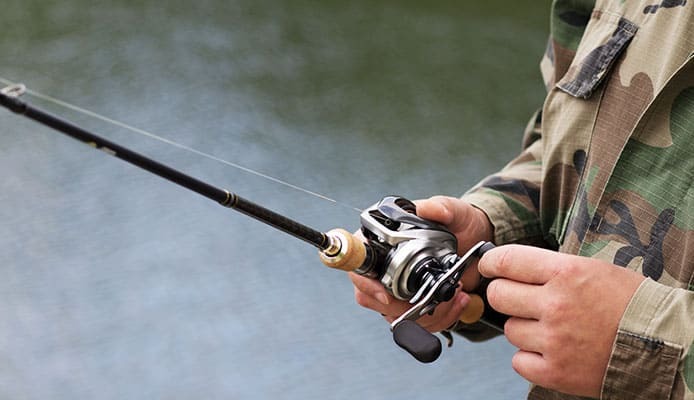 As you are now fully aware of all the different features to look for in a fishing rod and are equipped with the best terminology, you should have everything you need to make the best decision. All of the spincast reels on our list have been tried and tested and hold some of the best reviews making them a great option for your fishing experience. While it is always important to have the best gear possible, it is important to stick to a budget that works for you. Due to the affordability of spincast reels, you won’t have to compromise on your budget or your desired features. This opens up fishing to an even wider group of people making it affordable for kids and casual anglers to get the best gear for them. Have you ever tried fishing using one of the spincast reels from our list? Talk to us about how it has enhanced your experience in the comment section below.